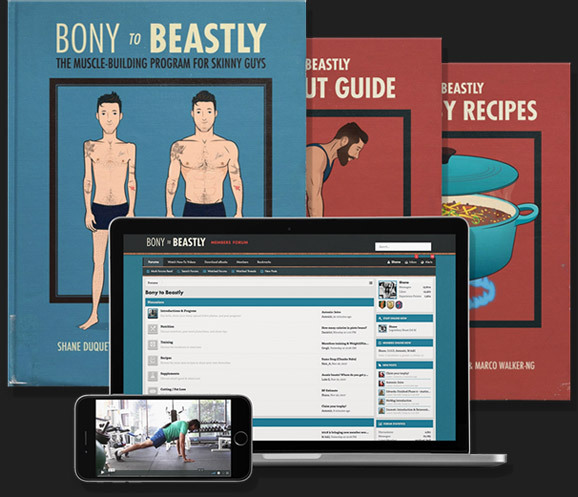 Bony to Beastly—Muscle Memory: Are Muscle Gains Permanent? 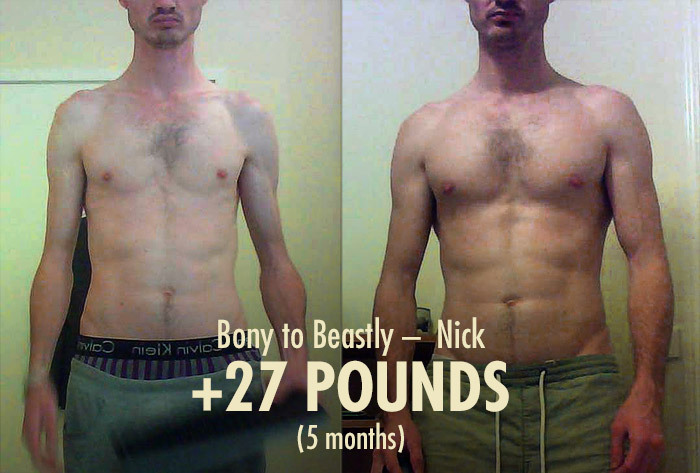 When I first started building muscle, I was desperate for it. I was willing to make it a huge priority in my life, and while the idea of having to lift big and eat big was incredibly daunting, I was willing to do whatever it took. Fast forward a few months and I’m realizing, okay, I can do this, but damn, is this my life forever? Am I going to be full every moment of my entire life? Am I always going to be sore? Plus, winter was coming. And winter was bringing exams. I gained 20 pounds that summer, bringing me from 130 pounds up to 150 pounds. Then I took a break, forgetting about it entirely. 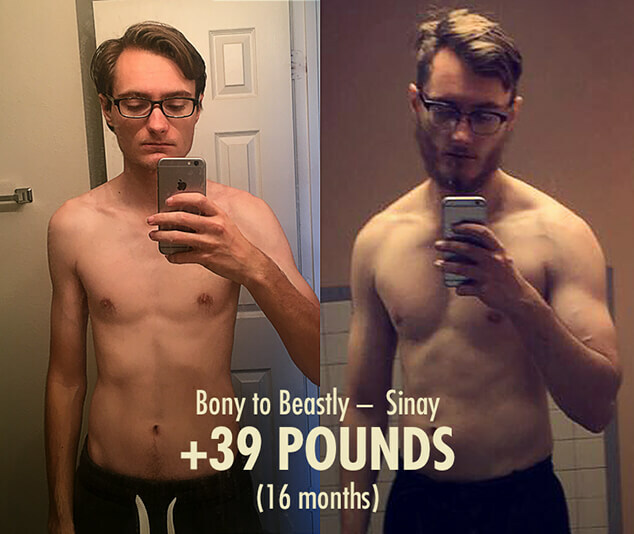 Around a year later, got back into bulking and went from 150 up to 170 pounds. That time some habits stuck, and I started enjoying a healthier lifestyle. 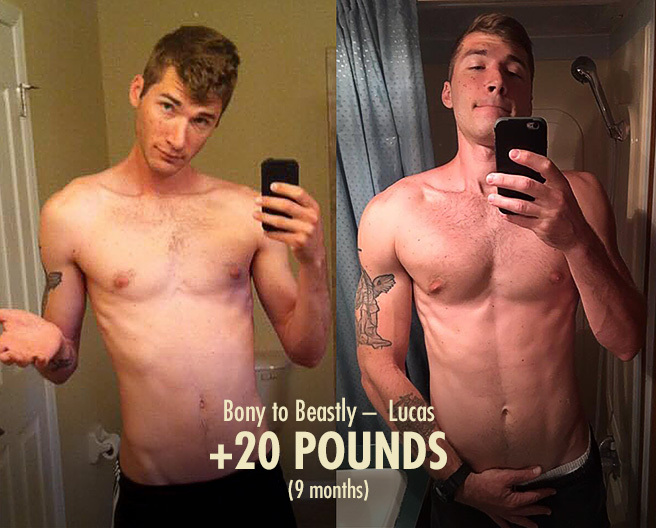 I felt better, I looked better, and I had developed a hobby of helping skinny guys bulk up online. 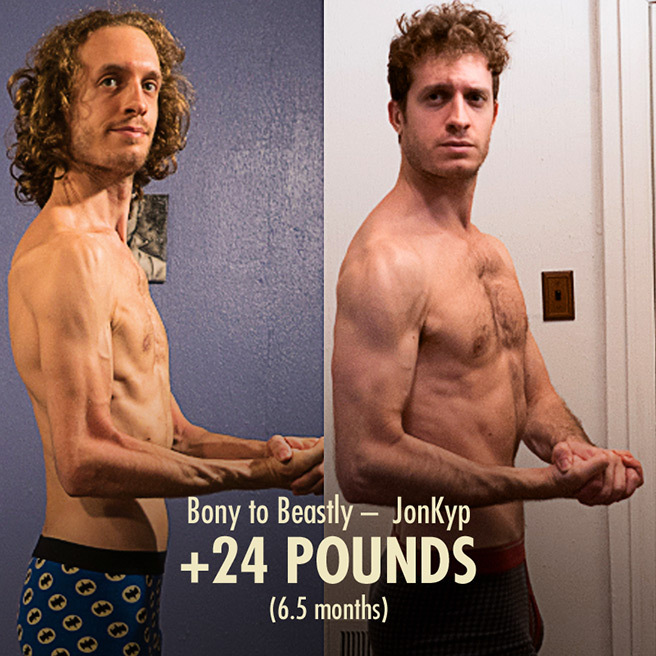 A year later, Bony to Beastly was starting to take shape, and I wanted to test the program. That brought me from 170 up to 185 pounds, and that time every habit stuck. I started eating a better diet, I started enjoying food more, and I felt strong and sturdy. I’ve been going to the gym at least twice per week ever since and really enjoying it. Best of all, I didn’t need to ever worry about overeating again. If I follow my appetite, I hover around my new weight, not my old one. My set point now seems to be at around 180 pounds. It will drift up 5 pounds when life is easygoing, but no higher. And it will drop down 5 pounds if I get sick or go travelling, but no lower. Just like I would never fall to less than 125 pounds when I was hovering around 130 pounds, now I’d never fall under 175 pounds. I wouldn’t have expected that. I didn’t know my thermostat could be adjusted. And at first, it wasn’t adjusting. I wish there had been an article like this one. An article that I could have read at all these different points so that I could have avoided the doubt and confusion. Most of all,I wish this article had existed back when I was 130 pounds and assuming that I had this lifelong battle ahead of me. Wherever you are on your journey, this article should help. I can also answer any questions you have about your specific situation in the comments. First, though, we have to understand the muscle-building process a little better. Some adaptations are transient, some are durable, and some are totally permanent. Once you understand these differences, we’ll be able to cover the how-to. Your muscles will adapt in a few ways. Some adaptations are permanent, some remain changeable, and some are fleeting. If you get hung up on the fleeting adaptations, you’re going to find yourself very confused. On the other hand, if you rely only on the permanent adaptations, it’s going to be hard for you to look your best on a day-to-day basis. First, let’s look at how your muscles will grow over time. First, newbie gains. This could be your first 10 or so pounds of growth. Maybe even as high as 20, depending on your genetics, the size of your frame, and how skinny you are. If you’re following a good lifting and diet plan, you can do this quite quickly. You’ll be full and sore, since your body probably isn’t used to the stress of lifting and dieting yet, but you can accomplish this in a couple months. This muscle is easy to gain, easy to maintain, but it isn’t permanent. 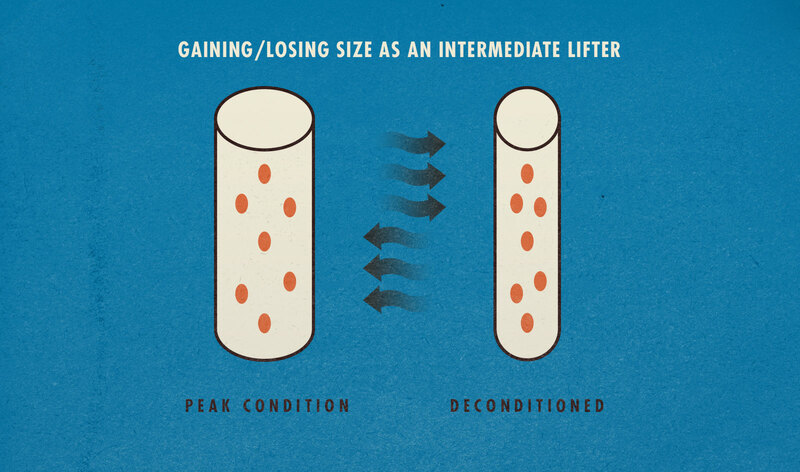 It doesn’t seem like it does much to adjust your set point, as you can still move freely between the two states, letting your muscle fibres swell up to their maximum nuclear domains and then shrink back down. You’ll get better at this process, so it will be easier to regain the muscle than it first was, but your body hasn’t changed on a deep level yet. The confusing thing about newbie gains is that if you don’t transition into making intermediate gains, your new muscle mass can feel pretty temporary. 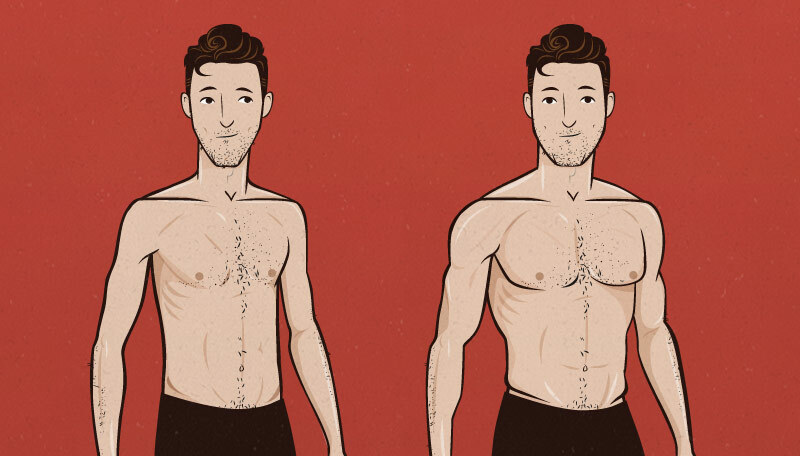 You’ll look a lot better, and it won’t be hard to maintain your gains, but if you travel or get sick for an extended period of time, you might shrink back down to near your original size. If you never progress beyond this point, you may never realize that muscle gains can be a lot sturdier than this. I should also point out that newbie gains aren’t that transient. I’d put them in the changeable category, not the fleeting category. If you go on vacation for two weeks and realize that you don’t look as muscular as before, that’s something else. We’ll cover that in the next section. Second, intermediate gains. This type of adaptation will unlock your next stage of muscle growth, and you can keep progressing here for a good few years. This is where the vast majority of your gains will be made. Newbie gains run out within a couple months, and once you get to the advanced muscle-building stage, you’ve only got a few pounds left to gain before you hit your muscular potential. This is where you risk running into strength plateaus if your program isn’t good, and you might run into some struggles with your metabolism temporarily adapting to your bulking diet. Most of the stuff here that happens is really good, though. You’ll gain a lot of muscle, your lifting coordination will get better, your stomach will get stretchier, your digestive system will grow stronger, your bones will grow denser, and you’ll become more experienced with lifting and nutrition. These changes are harder to come by, but they’re fairly permanent. Best of all, the process of adding these satellite cells to your muscle fibres is totally permanent. You are forever changing your genetics with every step of progress you make here. This makes it way easier to be lean and muscular for the rest of your life. It’s worth pointing out that there’s a certain amount of overlap between these stages. You’ll likely start getting these adaptations before you finish getting your newbie gains. 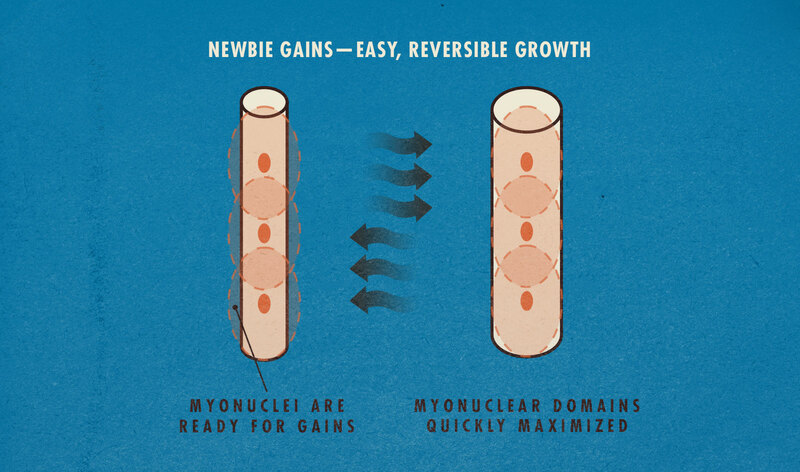 Also, your fibres can still shrink and expand within the limits of their myonuclear domains. The difference is that you’ve got a lot more to work with here, and your muscles will naturally hover around a bigger set point. You can take this fairly far, improving yourself in a permanent way with every bit of progress. 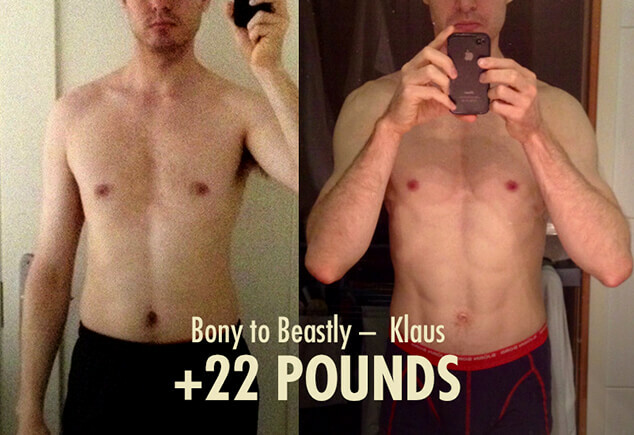 Also notice that after a couple years away from lifting (left), he still looks like a perfectly fit and strong guy. If I recall the story correctly, he was travelling around learning how to dance, and his dance partners would comment on how muscular he was. Not a bad deconditioned state! His conditioned state is a whole other beast, though. 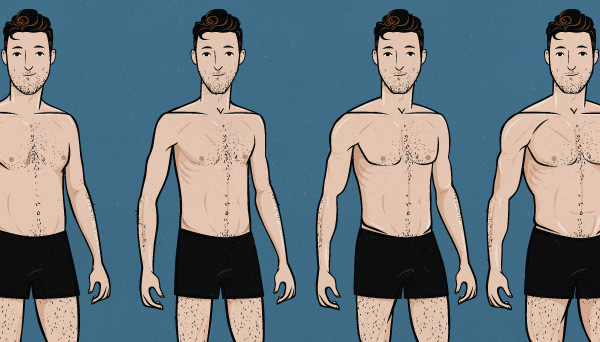 You’ve probably noticed actors transforming themselves like this, gaining or losing 30+ pounds of muscle on a whim depending on the role they’re playing. This is why Christian Bale could intentionally lose 60 pounds between Reign of Fire and the Machinist, then spend just a few months getting back in shape for Batman. Third, advanced adaptations. If you get even closer to your muscle-building potential, you can start making another type of adaptation. 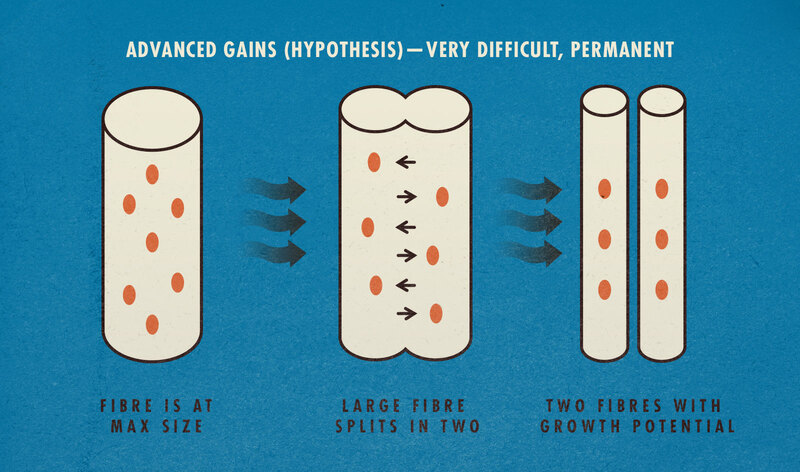 The science isn’t very well developed here, and I won’t go too far into it, but a dominant hypothesis is that your muscle fibres start splitting into two. If this takes place, your muscle fibres not only become better, but you also develop more of them! The best example of this is the pump. You can go to the gym, do a full body workout, inflate up to an awesome size, and then on the drive home, deflate back down to your regular size. If you meet Hugh Jackman an hour after he pumped up for his shirtless Wolverine scene, he’ll already be looking more like a normal person again. The pump. Getting a good pump can temporarily add a good inch to your bicep size. It can also make you look far more lean and vascular, especially if you’re under 15% body fat. But it’s so short-lived that it often won’t survive the trip home from the gym. Inflammation. If you go to the gym and stress your muscles, they’ll get a little inflamed over the next couple days. You might feel some muscle soreness (DOMS) during this time. You’re also going to look pretty good! That inflammation is only in your muscles, so it’s only your muscles that appear to be a little larger. If you get into the routine of doing full body workouts a few times per week, your entire body will always look like this. Then when you go on vacation, you’ll go back to having fully recovered muscles, and you’ll start worrying that you’re already losing muscle mass. You aren’t. 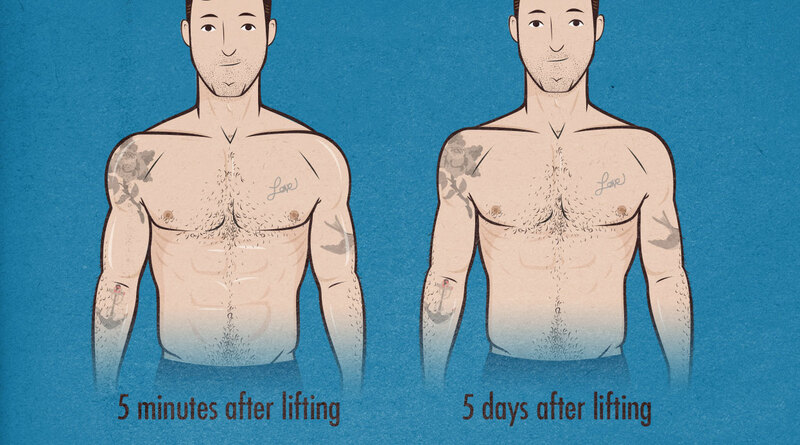 Your muscles are actually in better shape than they were yesterday. They’re now fully recovered. Fullness. If you eat a bunch of food, you’ll have more food moving through your digestive system. This will make you weigh more on the scale, it will make you look bigger… and it will make you look fatter. This might make you worried on two levels. First, you may worry that you’re getting fat because you’re looking a little pregnant. Second, as soon as you stop eating quite so much food, you’ll lose a couple pounds within a day or so. At that point, you might worry that you’re losing muscle mass with just a day of eating a regular amount of food. You aren’t, there’s just less food travelling through your digestive system. You might retain a little less water as well. If you add up all these things, you can see how a guy might be pretty stoked about the gains he’s made, go on vacation, and within a few days be panicking because he doesn’t look like the selfie he took at the gym the other day. 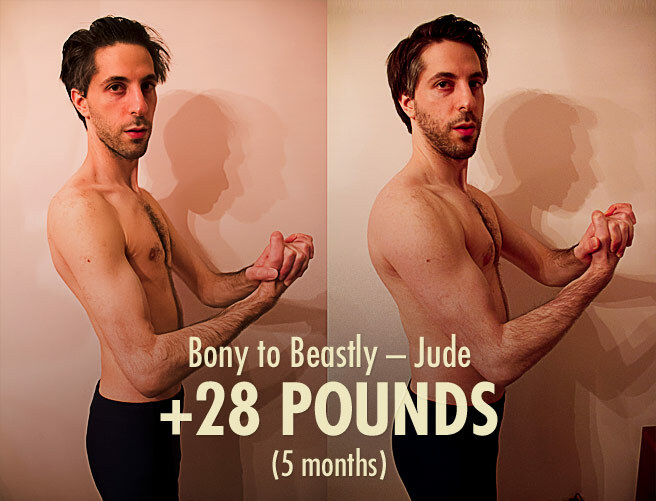 I have a simple solution for this: overshoot your goal physique by 5 pounds. I know that might not be possible yet. In the meantime, just remember that a few of the pounds you see in the mirror after a good lifting session aren’t real yet. 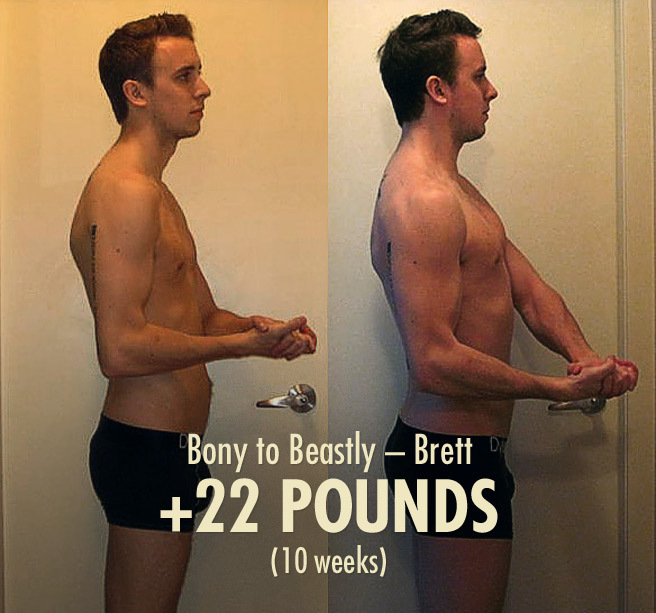 A few days later you’ll look like you’ve gained 2% body fat and lost 5 pounds of muscle. There’s a plus to these transient changes, though, as they’re a good incentive to stay in a good lifting and eating routine. That way you’ll always look your best. I do want to stress that these changes may seem extreme from your perspective, but most people won’t notice. You don’t need to stress about them, and part of leading a Beastly life is not being the kind of guy who’s scared to take his shirt off if he’s feeling a little bloated or flat. To gain around a pound per week, you need to eat about 500 extra calories every day. As you get further into your bulk, you may find that your metabolism starts chasing you. You keep eating that same 500-calorie surplus, but slowly you start gaining less and less weight. Soon, you aren’t gaining weight anymore and you’re eating 500 more calories than you want to be. This is a fat person’s heaven, but we are not fat people. At this point, some guys fear that the muscle they’ve built is burning 500 extra calories. Fortunately, that’s not the case. A pound of muscle only burns 6 calories per day. You’d have to build 83 pounds of muscle in order to burn 500 extra calories per day. Your metabolism hasn’t adapted to your new muscle mass, it’s adapted to your overeating. This doesn’t happen to most people. Not everyone has a highly adaptive metabolism. 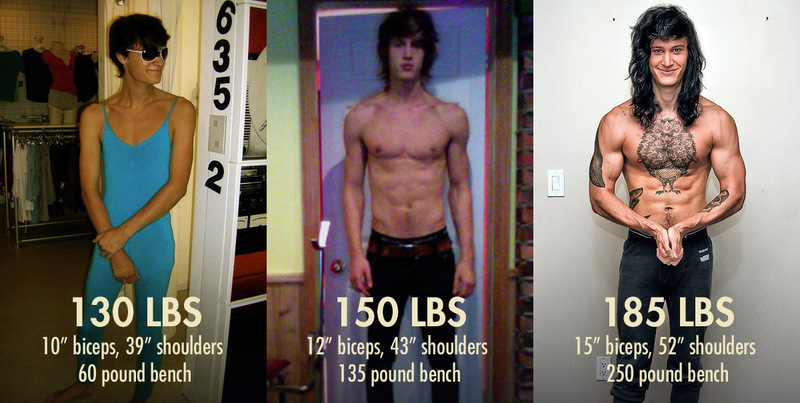 “Hardgainers” are known for it, though, and most of us naturally skinny dudes are hardgainers. The good news is that this metabolism change will only last so long as you’re overeating. You can cut those 500 calories out of your diet and, not counting the transient changes we mentioned in the last section, you will not lose any muscle. Worst case, you might look a little flat because you aren’t holding onto quite as much glycogen. So let’s say you normally eat 2,250 calories. You begin your bulk at 2,750 calories. You’ve gained 27 pounds over the course of your first 5 months of lifting, and now let’s say you’re eating a whopping 3,750 calories. 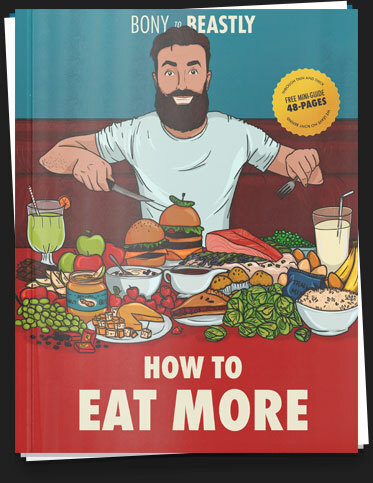 At this point, most of us are panicking because we think we’ll have to keep eating like this forever, or that we’ll only be able to cut 500 calories off, bringing us to a still-whopping 3,250 calories per day just to maintain our physiques. Our new intake just needs to accommodate the calorie needs of our new muscle, and muscle only burns 6 calories per pound. So that’s more like 2,250 + 162 calories. Not a big difference, and your stomach and digestive system will have adapted to this new intake anyway. It’s worth noting that carrying around more muscle, and especially lifting heavy weights with that new muscle, will add extra calorie needs into the mix, but not a lot. This is more of a concern for long distance runners and cyclists, as any extra weight they’re carrying around can add up over long distances. Not an issue for regular guys, even if they have an active job. Eating a bulking diet will always be hard, as it’s stressing your system, but eating a maintenance diet, no matter how much muscle you build, should always feel fairly natural—at least once you get used to it. After all, as we bulk up, our appetites and digestive systems bulk up as well. 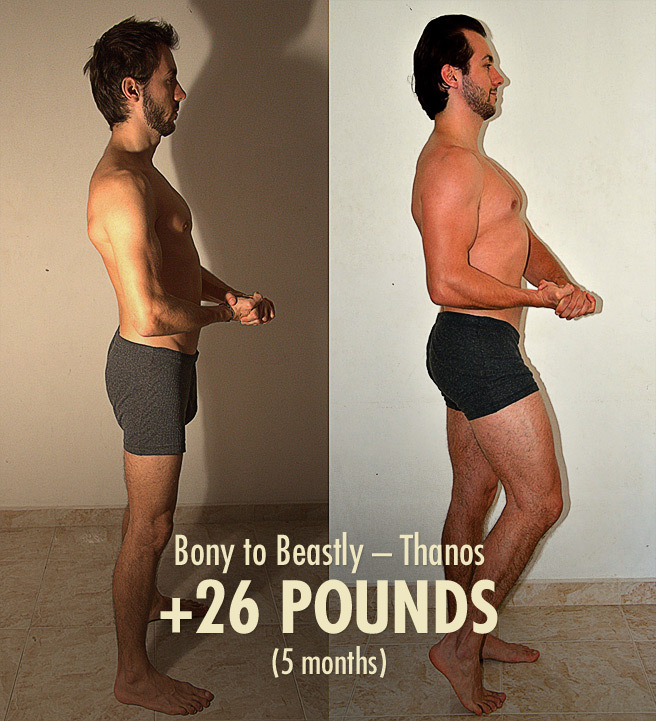 I’m sure some exceptions exist here, but if we’re talking about a healthy naturally skinny guy who gains up to around 60 pounds, this should hold. If you’ve successfully finished you’re bulk, or even if you’re partway through a bulk and overwhelmed with how high your calorie needs have climbed, you can always bring your calories back to maintenance. How? You can immediately cut 500 calories off of your bulking diet, then cut out an extra 200–300 daily calories every week. Keep your protein intake fairly high while doing this—at least 1 gram per pound bodyweight. Also, keep up your lifting routine. It’s important that you’re maintaining your strength and muscle mass while adjusting your calorie intake down. This ensures that if you’re losing weight, it’s just fat, gut contents, and/or transient fluids. When you’re eating in line with your appetite again, you can take a break at that calorie intake for as long as you need to. Then, when you’re ready to bulk again, add in 500 calories, adjusting each week accordingly. Your muscles will always be able to shrink and grow depending on your lifestyle, but some of the adaptations you make while building muscle will improve your musculature forever. If you can accumulate enough of those changes, you’ll find that your new set point is far more lean and muscular than it was before. In order to fully experience these benefits, though, you’ll likely have to go beyond newbie gains, and spend some time grinding for your intermediate level gains. 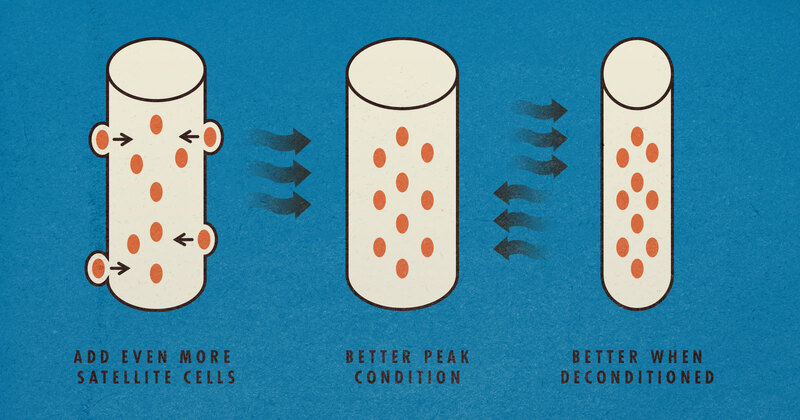 Interestingly, your fat cells adapt in a similar way. They can shrink and grow, which is fine, but if you gain enough fat, they’ll multiply. This phenomena is called fat-cell hyperplasia, and it’s one reason why people who have been quite overweight in the past will often have more trouble getting and staying lean. 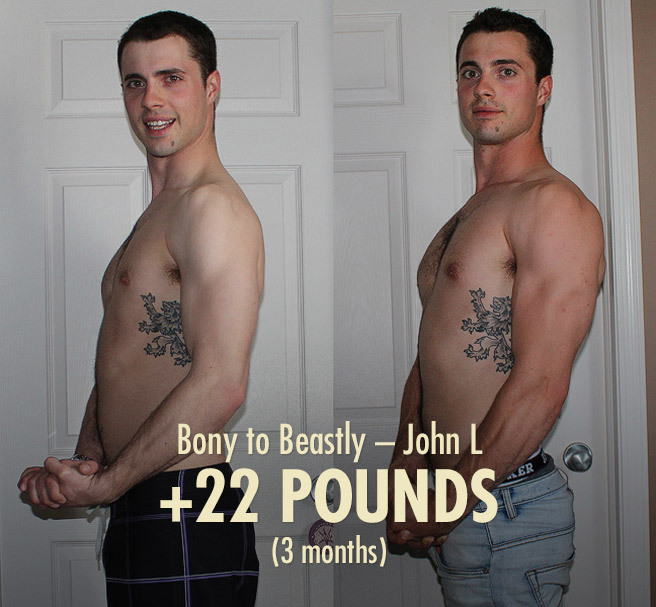 It’s not an issue we tend to run into around here—it’s a very high level adaptation, and you’d need to get really fat—but it’s one reason why it pays to bulk fairly leanly. It’s also a good reason to understand that a fat person’s battle is very different from ours. Not only will they have more fat cells, but their digestive systems have already adapted to crave, fit, and digest more food. They’ll find a bulking diet easy to stomach, we will not. And while we’ll be able to get and stay lean fairly easily, for them it can be a lifelong battle. This is all to say that things snowball, and that’s good. Build some muscle, and it will be easier to stay muscular. Lose some fat, and it will be easy to stay lean. Even if you stop eating well and exercising, you’ll fare better than the person who never ate well and exercised in the first place. To end with an example, I remember hearing that my football-player-turned-neurosurgeon cousin had started going to the gym again. He was deadlifting 225 pounds. The competitive side of me was stoked. At that point, I had climbed up to a 375-pound deadlift. I was stronger than this Beast of a dude?! No way! The next week he was deadlifting 315. The week after that he was back to deadlifting 405. It took me a year to turn my 375 into 405. Once you’re strong, it’s not hard to stay that way, and any progress you lose will always come back quickly. There’s no need to stress out about losing your muscle mass, especially within the context of a fairly healthy lifestyle. Once you’ve earned it, it’s yours. Love this article. So encouraging. 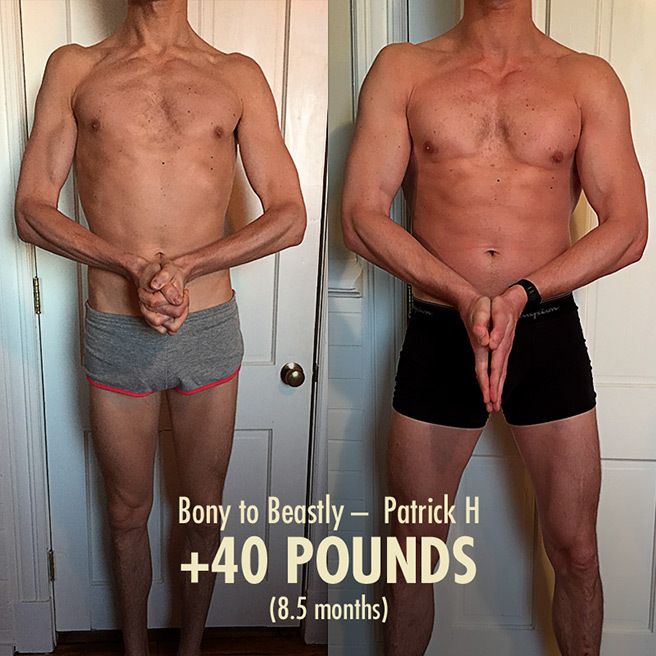 I’ve noticed a lot of this “muscle built and then lost comes back quickly” and “fat built and lost gets lost again quickly” in my own body, but it’s so freaking awesome and encouraging to read that there’s science behind my experience too. A very well timed article for me. Had just started phase 4 of the program and went on holiday for 2 weeks. Got back on the weekend and dropped 4kg. Was back to the gym yesterday so I’m interested to see how long it takes me to ‘recover’. Thanks for the article Shane. Wow, good read! And same with me here, Rob. I just recently started working out a little over a month ago, and I already gained 14 lbs while maintaining the same body fat of 17% when I started. Last week, I went on traveling for three days, and when I checked my weight, I just lost 2 lbs after my vacation! And I was very disappointed. But, this article explains a lot and gives me so much insights. So, thank you so much for putting up very informative article! I just noticed that even I lost 2 lbs, the sizes of my chest, biceps, hips, etc. stay the same. So, I’m guessing I just lost 2 lbs of fats and retained muscle mass? You probably lost two pounds of digestive system contents. Let’s see if after a trip to the gym and a day of getting back to your bulking diet, those two pounds don’t just come right back. Great article! 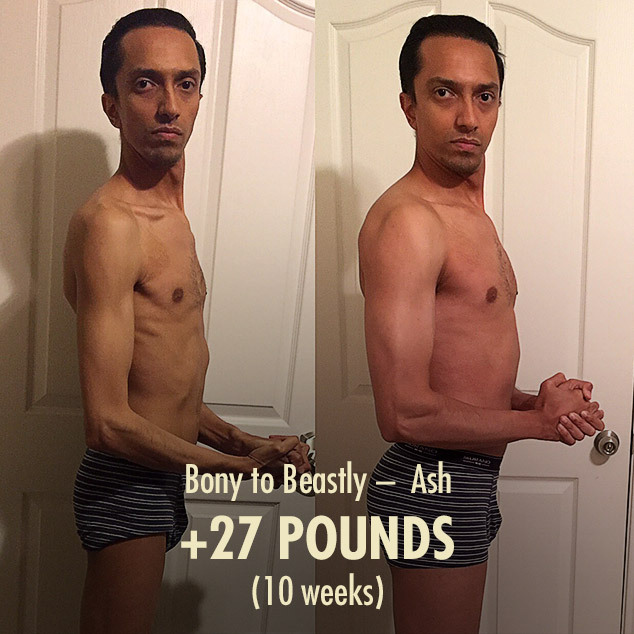 I am regaining after having lost a great deal of muscle due to nontraining during a severe injury, lack of access to a gym, and difficulty digesting adequate calories. Unfortunately I find that as I am strengthening areas of my body and returning to previous muscle volume, I am not burning the fat layer that has accumulated. I don’t eat nearly as much as I think I should (though I’m not counting calories,) and I live in a very hot environment which makes it difficult to eat enough anyway. How do I burn the fat layer while also improving my gains back to original levels and beyond under these conditions? I can’t guarantee that cutting will allow you to regain muscle, but it can happen. It’s very difficult to build new muscle while cutting, but many guys are able to rebuild lost muscle while cutting. Worst case, you rebuild it very quickly afterwards. Do you know how age can affect these changes ? In other words, I keep hearing that age has an effect but cannot recall the exact details. Reading your article I could see that newbie gains could be available no matter the age, but intermediate gains ? I was told that beyond age 30, maybe those satellite cells cannot be grown (or progressively less as time goes by). So if one never was fit in his/her younger years, that genetic potential will be smaller and cannot be changed. Great article once again ! Thanks, Tasty! Glad you dug it. That’s a good question. I’d want to look into it in more depth before giving you a definite answer, but from what I’ve seen in the research so far, guys between 18–40 are able to build muscle very similarly, and researchers suspect that would persist up until around 60, when hormones begin to change more dramatically. 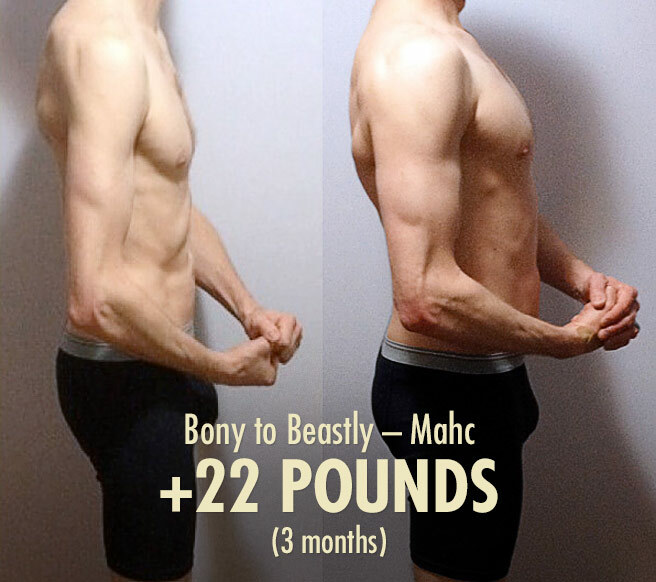 30 seems way too young to see a change in muscle-building ability like that. 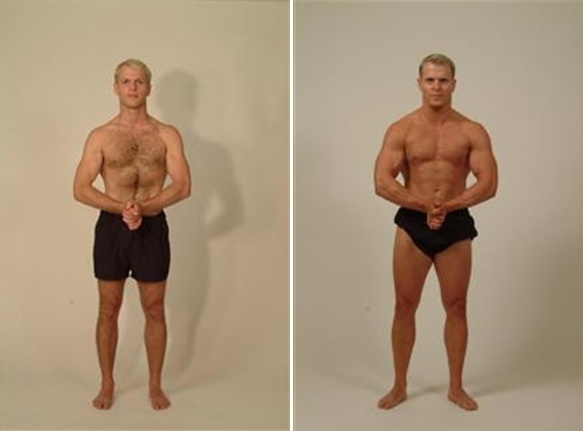 Moreover, natural bodybuilders generally only have their best physiques by around 40. 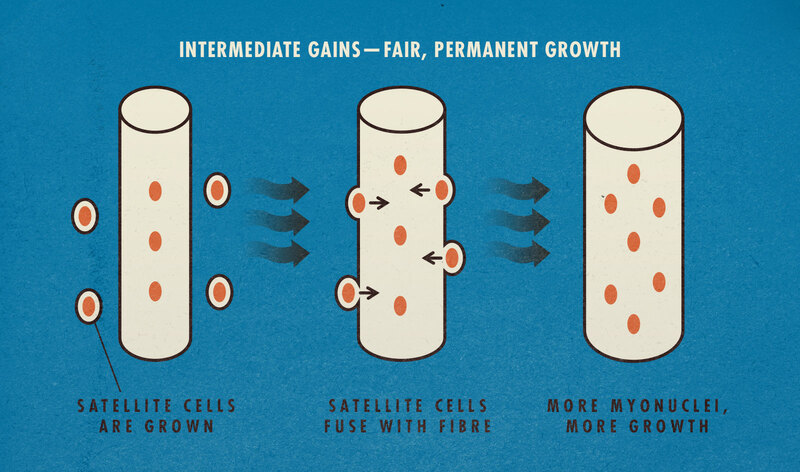 I took a cursory glance to see if there was some sort of exception with satellite cells, but I only came across research suggesting the opposite—that no significant changes take place. What you can see, though, is that people who built muscle in their younger years have already brought in a ton of satellite cells into their muscle fibres. It’s very easy for them to maintain muscle as they get older, and they’ll naturally appear to have better genetics. Does building muscle in your formative years improve your ability to grow satellite cells? Maybe. I’d still argue that the main benefit to starting young is that you have a lot of time in your life left to build muscle. Starting old means you have less time to build muscle, which might make it impossible to become a competitive bodybuilder, but you should still be able to get a strong, muscular physique. 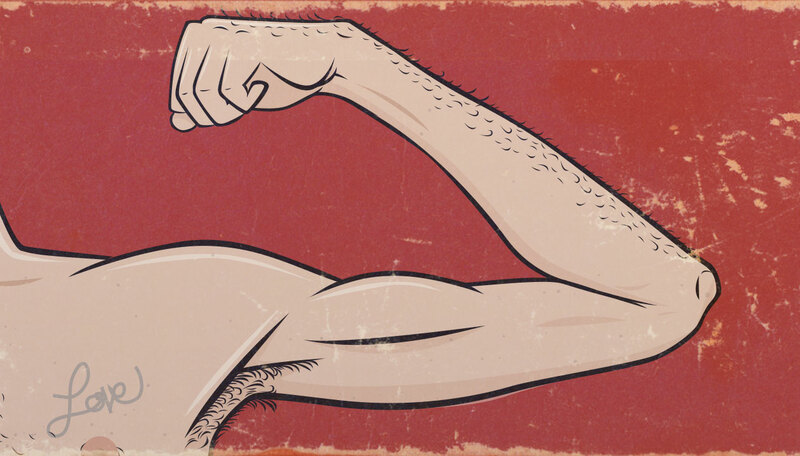 After all, building muscle is very much an 80–20 thing. You can get 80% of the benefits with 20% of the investment. 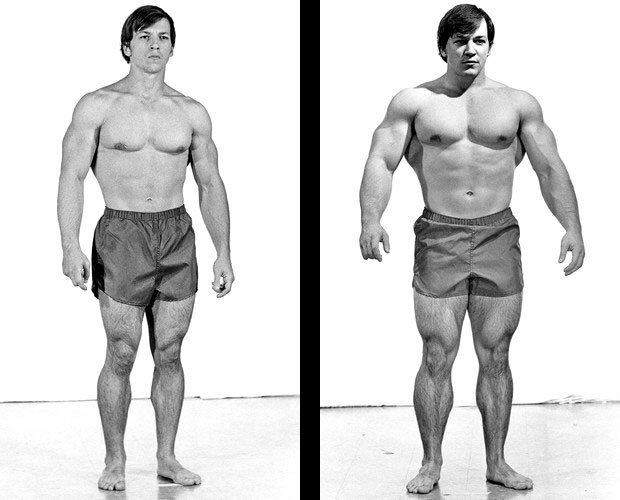 Within a few years even someone well past 30 should be able to build a strong physique. Tasty – Shane is on point here, 30 is far too young. 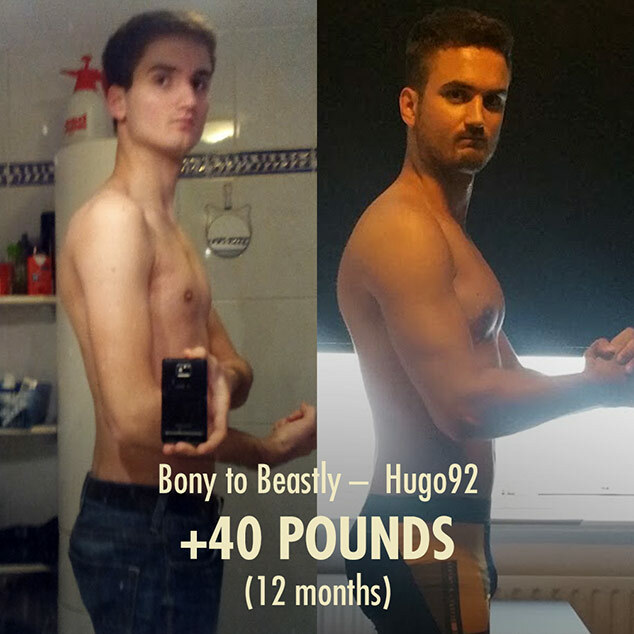 I trained at the gym for years without any improvements until I turned 33 and I started researching things, eating properly and training differently. I’ve been able to get as heavy as I’ve ever been, maintaining around 14% body-fat while staying similar to this weight and shape while moving back to a more suitable intake for my appetite. How much weight loss is normal? You mention some weight loss through fat, gut contents, and transient fluids, but how much should I expect? I am the “Sick of Eating So Many Calories” fellow who originally asked about high caloric intake in another post several days ago. Since we talked I dropped my 4,150 calories down to 3,950 and already have seen my weight steadily drop over the last four days from 160.2 down to 157.8. Just wanted to stop back in to say thank you; you were correct. I managed to slowly cut 150-200 calories per week from 4,150 daily calories down to 3,000 calories as of today, and this entire time my weight has only fluctuated anywhere from 157 to 162 lbs. Thus, no loss in muscle. And for the first time in a while I actually am hungry when I eat now. Yep, wish I could have read this article a long time ago. This all reflects my experience very closely. I got up to 185 from 150 and unrelated injuries broke my routine. My “set point” has been 175 ever since, eating normally and working out infrequently. Good stuff, thanks for putting it out there. 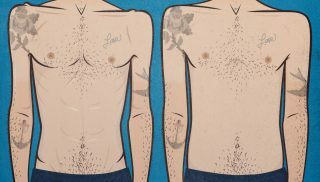 Just a few of your articles have taught me more about my body type than I ever knew before. Gives me a lot of confidence as I get back to the lifting and overeating grind. Great article. After a year and a half of bulking my caloric intake peaked at a whopping 4200 calories a day), I am attempting to “reset” by going back to maintenance calories (which seems to be around 3300 calories). Trying to lean bulk this time. Do you think a month is enough time before starting to bulk again? I would probably start at 3600 and keep it in that range, recalculating whenever I stall on weight gains. Interesting article. 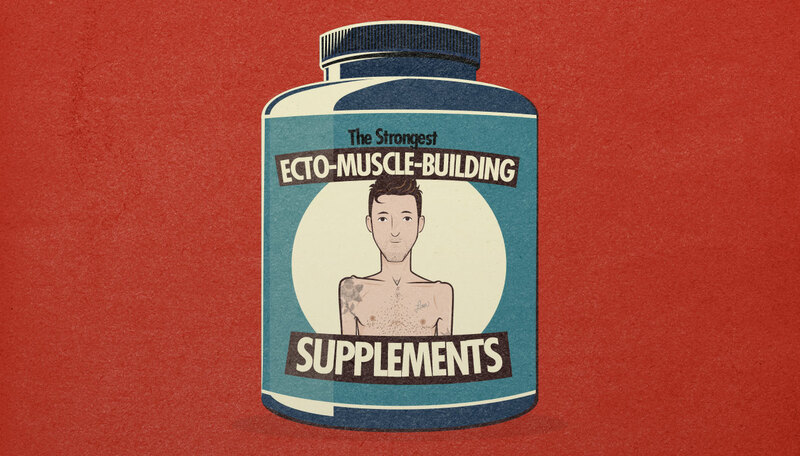 Reading by the comments made me think that some of those guys are not real ectomorphs (skinny, hard-gainers). I am a truly hard-gainer, for nearly all of my life through, I have been under-weighted, no matter how much food I ate. At about 53 y.o. I started training in the gym, and went from 62 kg to about 68 or 69 max, well hydrated. 6 years latter, I am stuck in about 67-69 kg. I eat as much as my stomach allows; that is ONE obstacle that cannot be underestimated. And I notice some fat accumulating around my waist. And yet, I go to the gym 5 times a week. So, I fear to become a skinny fat guy, that is why I also do some cardio to try to burn fat, but alas, I think muscle burns faster than fat. In all, it seems to me that reaching 70 kg of weight is a very, very tough mission yet to be accomplished. Have you advice for older guys like me who want to gain mass, not fat. I suppose it is my biological system that is set like that, so perhaps there is no way I can overcome it? Our specialty is true hardgainers. True skinny guys. Guys who have underwhelming responses to lifting weights, who have hummingbird-sized stomachs, who have raging metabolisms, who habitually forget to eat breakfast, who lose weight when stressed, who lose weight while travelling, who have digestive issues, etc. 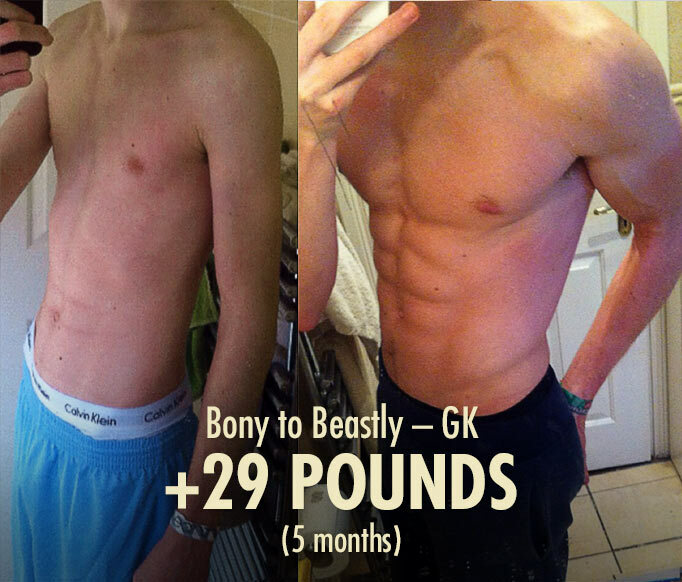 We don’t turn away guys with better genetics, but rest assured that our success stories primarily feature hardgainers. And even we hardgainers are able to bring up our set point by 20, 30 or even 50 pounds. Sounds like you’re already well on your way! First issue: 53 isn’t the best time for a skinny guy to start his career as a professional bodybuilder—that takes a lot of time, and it requires getting so close to your genetic potential. There are some other factors that out-of-shape older guys need to be mindful of, but as someone who’s already a habitual gymgoer and who’s already built an appreciable amount of muscle, you should be just fine. Don’t underestimate yourself! Plus, now is the perfect time to prepare for old age. As you approach and pass 60, it will become harder and harder to build muscle, and your main goal will become to maintain what you have. It could serve you well to be celebrating your 60th in a well-muscled state that you’re very content with, and then from there we can work on keeping everything well-oiled and running smooth into your 70’s, 80’s and hopefully 90’s! The importance of muscle in old age cannot be understated. It will keep you strong and independent, it will help maintain your brain health, and it will help you recover from illnesses that would kill frailer men. Second issue: Maintaining the gains you’ve already made should be quite easy. If you want to see what I mean, try gradually reducing your calorie intake while continuing to eat enough protein and continuing to go to the gym. You should find that you maintain your size and strength, even if your weight goes down by a couple pounds. When your calories are lowered enough that they match your appetite, maintenance becomes effortless! I think bone structure determines almost everything, from size to aesthetics to weight. I have a very small bone structure, 6 inch wrist. So basically my body weight is low – 70 kg at 5’10”. 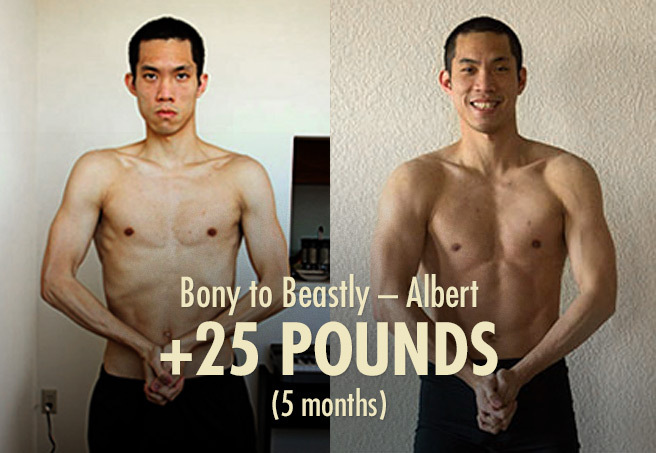 Still, I ‘look’ big because my bone structure is so small that even my 13″ arm or 40″ chest looks big. It creates an illusion. So what I am saying is, if bone structure is small, even at a low body weight you can look big. Adding more weight may or may not work, because I’ve noticed that usually with small bone structure adding weight is possible but mostly results in fat. So it’s almost as if small-boned folks are cursed to have low body weight, but with a little muscle here and there they can project the illusion that they’re big. Also, using heavy weights is VERY dangerous for small-boned people. The wrists, shoulders, and elbows give way before the muscles do. This is frustrating, because while our muscles are capable of lifting more, our joints are small so it’s better to err on the side of caution. I agree with almost all of that. 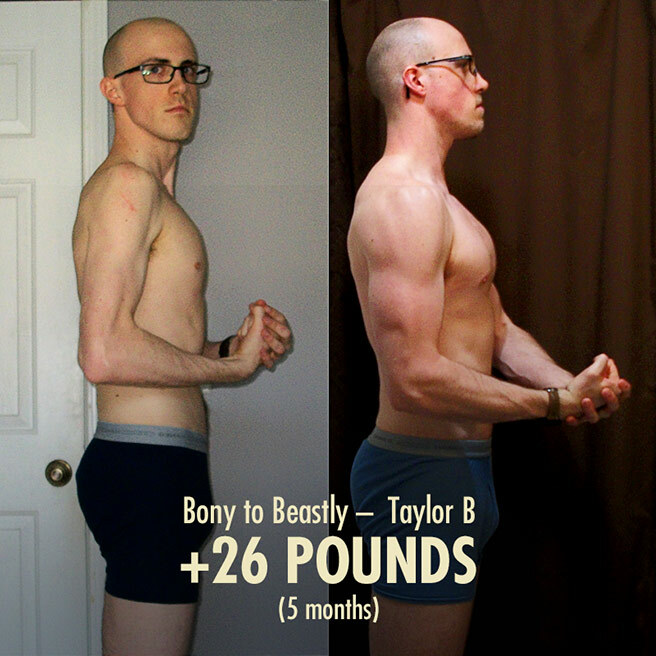 Casey Butts found that guys with thinner bones could hold about 10% less muscle mass overall. 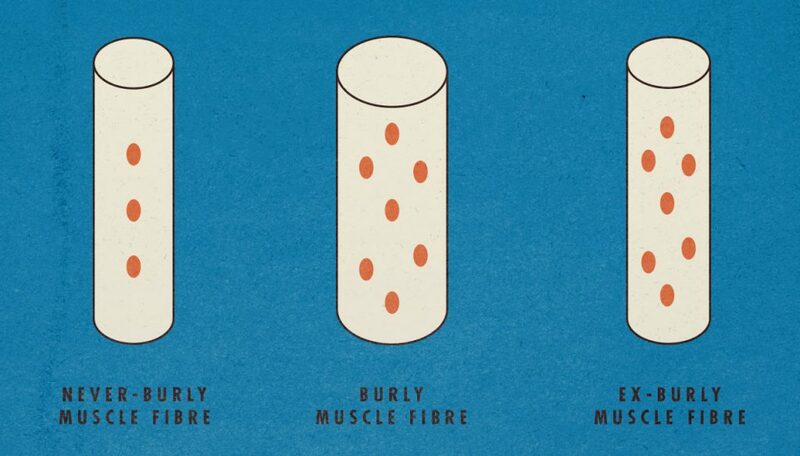 And it’s true that muscles can contrast pretty impressively with thinner bones. 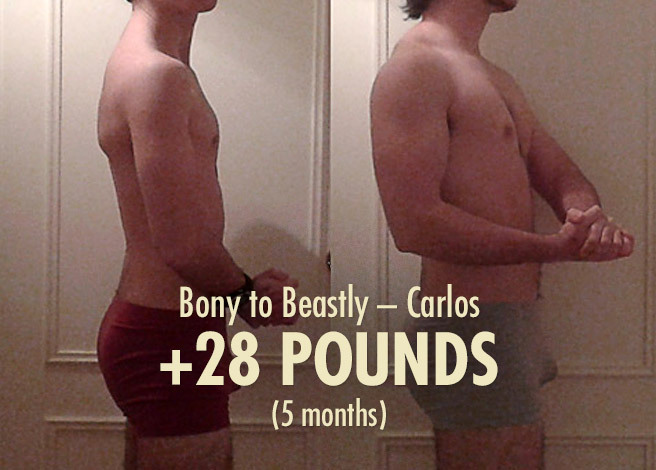 What I disagree with is the idea that guys with thinner bone will gain fat instead of muscle when they bulk up. If anything, I’d except the opposite to be true, at least while they’re far enough away from their genetic potential. It’s normally the guys with thicker bones that wind up gaining fat more easily and struggling with obesity. Regarding your joints, it’s always prudent to lift with good technique. You wouldn’t want to be rounding your back while deadlifting, which can be dangerous for the joints in your spine. And you wouldn’t want to be hyperextending your elbows (when they open further than 180 degrees) while benching or doing weighted push-ups, but this is fairly easy to do. It’s not an issue people tend to have, regardless of how small their joints are. Even while squatting, which can be rough on people with weaker knee joints, once you learn proper technique, sinking deeper into your hips instead of bending your knees forward, they become quite easy on the knees! Thank you for a great article. I been struggling with this issues since I´ve started my training 2,5 years ago. It describes my situation now – 100%. I was so happy finding this article and all of the comments so I decided to renew my membership after being out for 9 months working out with Athlean-X. A program that have made me take another step in my training but I do miss these articles, the super great forum, the challenges , the programs of course and all of you. Tell us about your time training Athlean-X style in the community, too. We’d love to hear more about it. 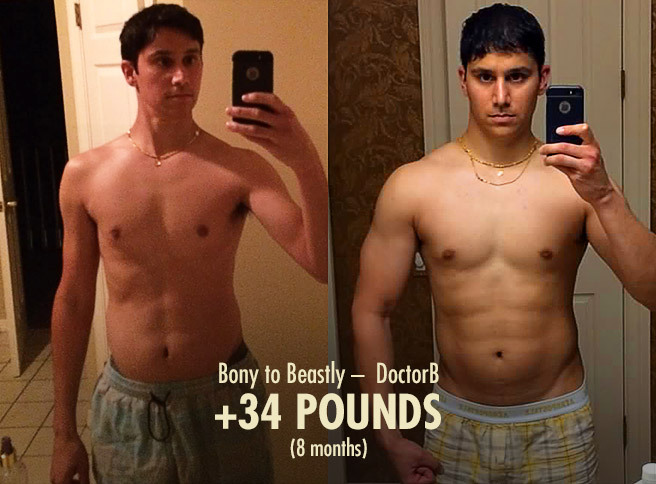 How is one suppossed to rebuild that much muscle in a very short time? Don’t you need a certain amount of calories to build muscle? 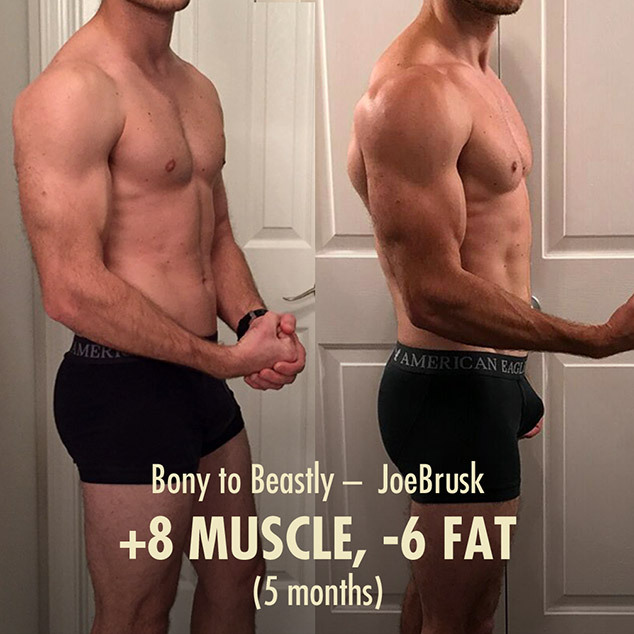 Do you need to eat like a monster 10,000+ calories to recover such a huge amount of muscle (like the examples in the post)? or from where do the body gets the ability to rebuild that huge amount? I used to weigh 75kg now I’m at 70 kg, that weight was lost in under 2 weeks which is the amount of time I got sick, I didn’t eat properly and didn’t train, in under 2 weeks I lost 4kg then I got sick again and lost 1-2 kgs in the 2 days I was sick, now I’m around 70 kg, and haven’t trained for several weeks, how long do you think I’ll need to get back to peak condition? My biceps have decreased from over 14.5″ to under 13.75″ thighs from 23.5 “to 22” ! If you want to rebuild a ton of muscle in a short amount of time, do you need to eat a lot of calories every day? Yes, but there’s more to it than that. You’ll need to be eating enough protein and enough calories to build new muscle tissue. 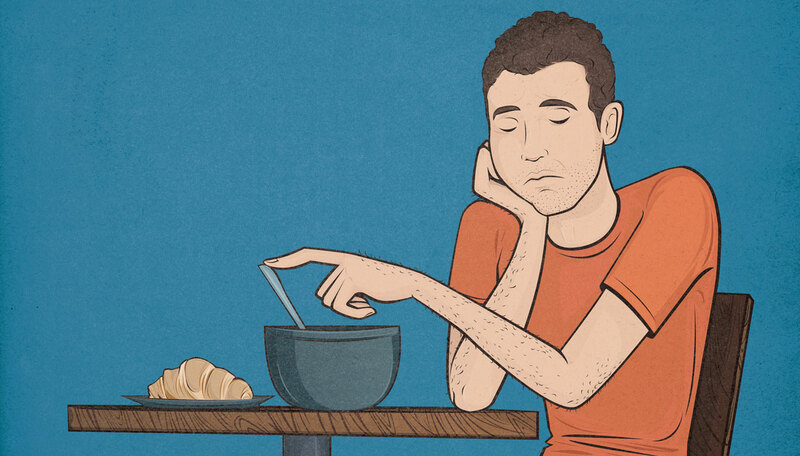 Do you need to eat 10,000 calories per day? No. That would have you gaining around two pounds per day. Maybe more. After all, it takes approximately 3,500 calories to gain a pound of fat. With lean mass, it takes closer to 2,000 calories to build a pound of muscle, but plenty of energy is lost as heat, so we still estimate that it takes around 3,500 extra calorie to gain a pound of muscle as well. If we assume that you normally burn around 2,500 calories per day (which is a fairly normal amount for a guy), then you’ve got 7,500 extra calories each day, which makes it possible to gain 2+ pounds each day. Is that physically possible? Yeah! A common example of that in the muscle-building industry is with bodybuilders who have just finished competing on stage. They’ve been dieting for months, their body fat percentage is way too low to be healthy, and they’re RAVENOUS. So they eat a ton of food and will often gain dozens of pounds of pounds within a couple weeks, or even DAYS. Now we get into the even trickier part: you can gain weight without gaining tissue. An extreme example of this is when athletes who compete in a certain weight division will lose a bunch of water weight before their weigh-in. So, for example, you might have a guy who weighs 200 pounds trying to compete in the 180-pounds division. What he’ll do is lose 20 pounds of water over the course of a day or two, looking like a ghoul by the end of it, then regain that 20 pounds of water weight before his fight, stepping into the ring looking absolutely jacked. 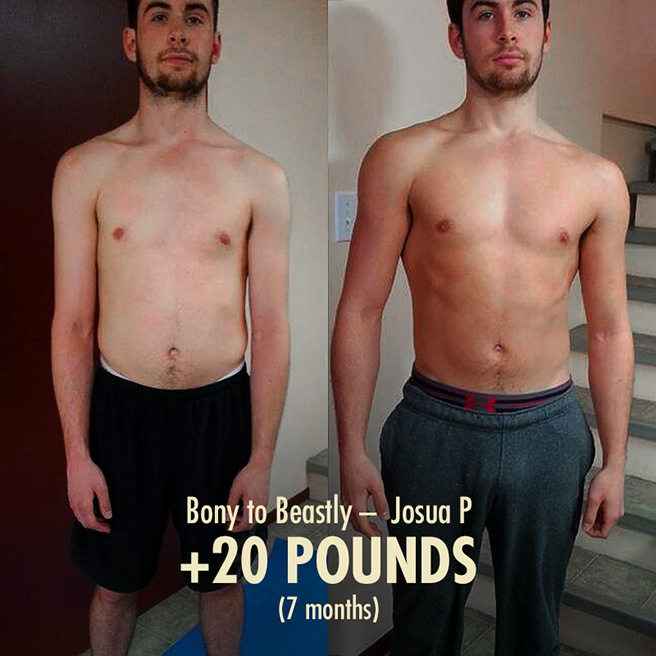 When a regular guy regains lost muscle, we have a combination of the two things happening. His digestive system will fill back up with food and liquid, his muscles will re-inflate with glycogen (stored sugar + water), and his muscle tissue will rebuild itself. In your case, most of the weight you lost was probably water, digestive system contents and muscle glycogen. You can expect to regain that weight fairly quickly even if your calorie surplus isn’t enormous. But you will indeed want to be eating in a calorie surplus. Maybe 3,500–7,000 extra calories per week, or a daily surplus of 500–1,000. So if you typically eat 2,500 calories, that would be 3,000–3,500 while you’re regaining that lost weight. And make sure to follow a good weightlifting program and eat enough protein as well! I can’t stress enough how important that is! Hi guys! I was working out for years before and I went from 50 kgs to 78 kgs. Recent months I was busy and basically lost about 15 kgs of weight because of not working out, eating barely anything and sitting in front of the computer barely moving and juat programming all day. So my question: What amount of calories should I be eating to regain the lost muscle if I wanted to do all of that while doing the first phase of your program? So we are talking about 15 kgs of muscle in 5 weeks. How much more protein and how much more calories might be needed? Would it matter at this point if most of the calories came from fat intake or would that result in excess fat gain as in regular bulking? I would really appreciate your answer. Thank you!